Clicker and LiftMaster are common brands of garage door opener systems. The LiftMaster system is often used with an opener on your door and a wireless remote that can be kept in your car or your house. Clicker remotes are programmed to work with nearly any brand and will allow you to open your door with a security code from outside the garage or inside your house. 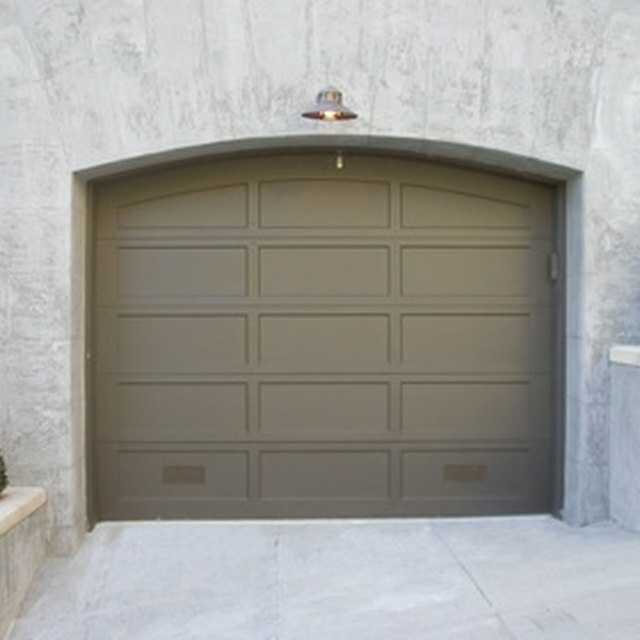 Liftmaster and Clicker remotes will work with many garage door models. Locate the code switches on the back of the LiftMaster opener unit in your garage. Notice whether the switches are in the "+", "-" or "0" positions. For each switch in the "+" position, write down "1." For each switch in the "0" position, write down "2." And for each switch in the "-" position, write down "3." Keep the numbers in order and written down for all switches on your system. Press and release the "Smart" button on the back of your motor unit. Once pressed, the LED light on the system will flash. Press and hold the "Open" button on the LiftMaster remote within 30 seconds. Hold the button until the main light on the motor flashes, then release the button. The programming is then complete for the LiftMaster remote. Go to the Clicker remote keypad and enter the nine-digit code you wrote down in Step 1. Press "Enter" after pushing in the code, and the light on the motor unit will flash again. This indicates the programming worked, and both remote systems will be ready to use. How Do I Change the Code on My Wireless Garage Door Keypad?